Come with our guide and visit the magnificent Notre Dame de Paris, a masterpiece of gothic art located in the very heart of the capital. Join our enthusiastic guide, an expert in this religious building, directly at the Place Jean Paul II in front of Notre Dame on Ile-de-la-Cité. 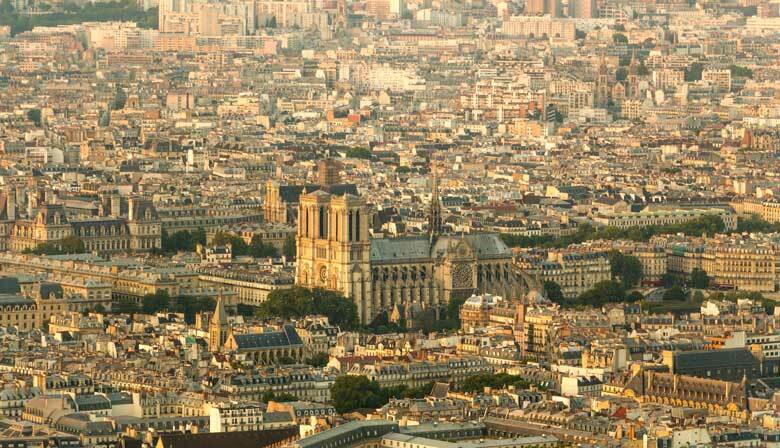 They will tell you about the history of this iconic Parisian landmark that is a UNESCO World Heritage Site. During this visit, dive into the legends surrounding this sacred landmark built in a flamboyant gothic style, made famous by Victor Hugo's novel "The Hunchback of Notre Dame". Our guide will explain the history of Notre Dame cathedral, which has an important place in France's religious and national history. After having been a royal church in the Middle Ages, it was where Napoleon I was crowned, and where the Magnificent was sung during the Liberation of Paris in 1944 as General de Gaulle looked on. In the square, you can marvel at the cathedral's architecture that resembles a boat floating on the Seine. Admire the cathedral's façade, whose main door stands under a superb rose. Our guide will explain the various Bible stories etched into the stone that surround each of the three doors. Don't miss the incredible gargoyles that you can just make out atop Notre Dame. They look to be the guardians of the cathedral. Once you enter, you can feel the peaceful, spiritual atmosphere that permeates the site. The depth of the church gives it a majestic character with its very large central nave. Whether you are a believer or not, you can't help but be moved by the beauty of its architecture highlighted by the superb stained glass windows high on each side of the nave. Above the center door, you can see the rose that you saw from the outside that overlooks the cathedral. Follow our guide through the side aisles of the cathedral and see the small chapels dedicated to various saints. Admire the two magnificent roses that tower over each of the two transepts. At the back of the church, you can see where the relics of the crown of thorns are kept. Scenes of Christ's resurrection are shown along the altar. All of these elements contribute to the magnificence of Notre Dame Cathedral.